David Attenborough first appeared in front of a television camera in the 1950s when, together with London Zoo's Curator of Reptiles, Jack Lester, he persuaded the BBC to mount and film an animal-collecting expedition. The result was Zoo Quest. 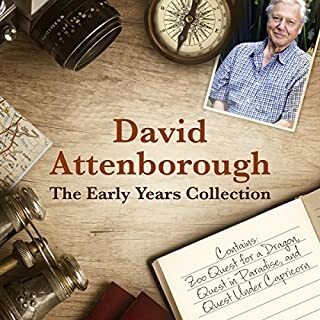 Specially recorded for audio, David Attenborough's early adventures are sometimes life-threatening, often hilarious and always totally absorbing. The warmth and enthusiasm that have made him a broadcasting legend are instantly apparent here as he recounts this magical journey. The complete second BBC Radio 4 series written and presented by Sir David Attenborough, featuring all 20 episodes about some of the strangest insects and creatures from around the world. One of the nation’s most popular presenters examines 20 marvels of the natural world from his extraordinary and pioneering experiences. How did Sir David track down a giant earthworm? Why does he respect rats? What was the first bribe in nature? Why do well known foods often have two names? One of the nation's most popular presenters examines twenty marvels of the natural world from his extraordinary and pioneering experiences. What was Sir David's first pet? Which animal would he most like to be? What creature lays 'the biggest egg in the world'? How do you communicate with an ancient nomadic community in Fiji? And what did Sir David do when confronted by a ten-foot-long reptile? 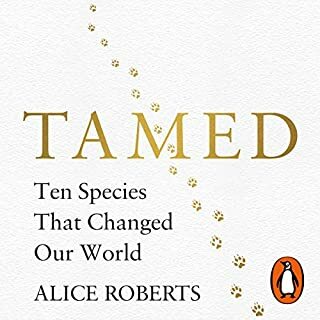 Random House presents the audiobook edition of Tamed, written and read by Alice Roberts. The extraordinary story of the species that became our allies. For hundreds of thousands of years, our ancestors depended on wild plants and animals for survival. They were hunter-gatherers, consummate foraging experts, taking the world as they found it. Then a revolution occurred - our ancestors' interaction with other species changed. Following his expedition to Indonesia, as told in Zoo Quest For A Dragon, David Attenborough's next animal collecting and filming trip was to New Guinea, home of the exotic Birds of Paradise. The quest demanded hazardous treks across treachorous terrain in the Jimi Valley and on the edges of uncharted territory but the arduous adventures were finally rewarded when, as the camera turned, a Count Raggi's Bird of Paradise enthralled him with its frenzied dance. David Attenborough's books and broadcasts have opened the incredible world of natural history to millions of viewers and listeners. 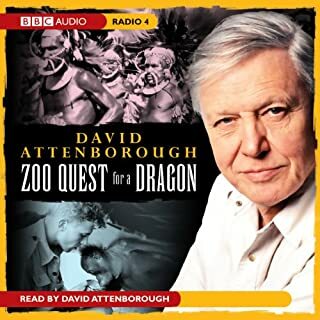 Zoo Quest for a Dragon takes us back to one of his earliest projects, when the BBC and London Zoo joined forces on several animal-collecting expeditions. 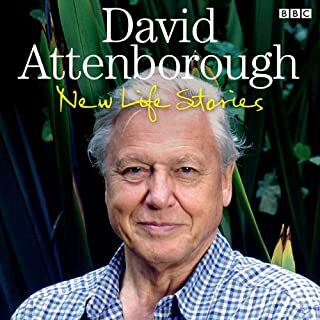 Now, to celebrate the 40th anniversary of the book’s first publication, David Attenborough has revisited Life on Earth, completely updating and adding to the original text, taking account of modern scientific discoveries from around the globe. 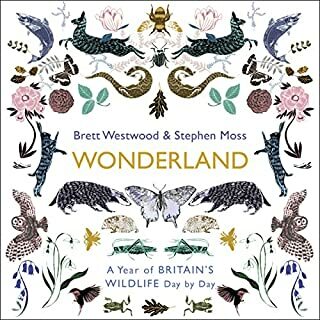 This special anniversary edition provides a fitting tribute to an enduring wildlife classic, destined to enthral the generation who saw it when first published and bring it alive for a whole new generation. 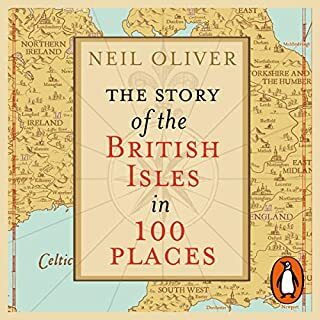 Shortlisted for best audiobook in the Specsavers National Book Awards 2018. 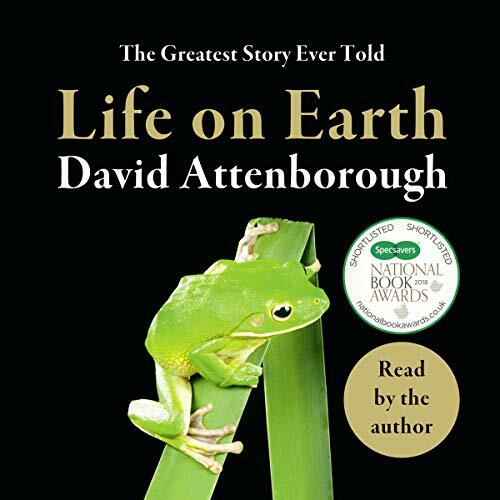 The nation’s greatest voice, David Attenborough, reads a brand-new edition of Life on Earth, now available as an audiobook for the first time. David Attenborough’s unforgettable meeting with gorillas became an iconic moment for millions of television viewers. Life on Earth, the series and accompanying book, fundamentally changed the way we view and interact with the natural world, setting a new benchmark of quality, influencing a generation of nature lovers. 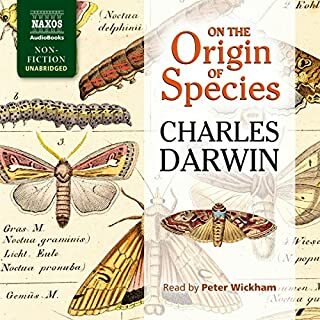 Told through an examination of animal and plant life, this is an astonishing celebration of the evolution of life on earth, with a cast of characters drawn from the whole range of organisms that have ever lived on this planet. Attenborough’s perceptive, dynamic approach to the evolution of millions of species of living organisms takes the reader on an unforgettable journey of discovery from the very first spark of life to the blue and green wonder we know today. 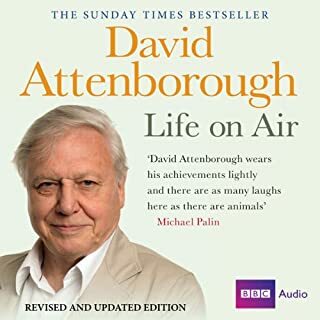 This audiobook includes wildlife sounds from BAFTA Award winning sound recordist, Chris Watson, who has worked extensively with David Attenborough on his BBC projects. A soundscape appears at the beginning of each chapter to provide a fully immersive experience of the habitat and some of the species described. A full list of the tracks, as they appear in the audiobook, is available below. Prologue - Acacia scrubland dawn chorus in the Masai Mara, Kenya, featuring White-browed Robin-chat. Chapter One, The Infinite Variety - Tropical rain forest in Panama with the calls of Montezuma oropendola. Chapter Two, Building Bodies - Fish and crustaceans recorded underwater on a coral reef off Seligan island, Borneo. Chapter Three, The First Forests - Geysir and geothermal activity at Haukadalur hot springs in Iceland. This track also features the Strokkur geysir erupting. Chapter Four, The Swarming Hordes - Evening insect chorus in the Conkouati forest reserve, Republic of Congo. Chapter Five, The Conquest of The Waters - Ocean currents through sea kelp recorded at a depth of 8m, Moray Firth, Scotland. Chapter Six, Invasion of The Land - Reed frog chorus at sunset, Amboseli National Park, Kenya. Chapter Seven, A Watertight Skin - Seawash around basking marine iguanas, Isla San Cristóbal, Galapagos. 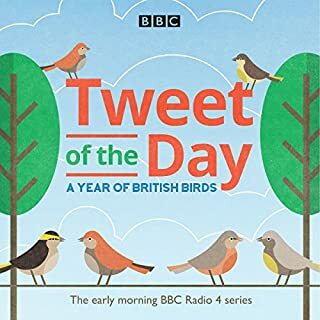 Chapter Eight, Lords of The Air - Springtime dawn chorus with nightingale, Hambleton wood, Rutland Water nature reserve, UK. Chapter Nine, Eggs, Pouches and Placentas - forest chorus along riverside platypus territory, Queensland, Australia. Chapter Ten, Theme and Variation - Common Pipistrelle bats echolocating after sunset, Holystone woodland, Northumberland. Chapter Eleven, The Hunters and The Hunted - Spotted hyena contact calls at midnight in the Masai Mara, Kenya. Chapter Twelve, A Life in The Trees - Black howler monkeys calling across the tree canopy at sunrise in Belize. Chapter Thirteen, The Compulsive Communicators - Street market, Ramnagar, Uttarakhand, Northern India. Epilogue - Beach habitat in mangroves with Great frigatebirds and red footed boobies, Isla Genovesa, Galapagos. 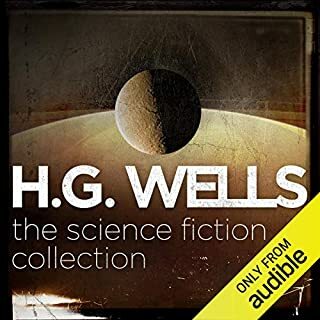 I was some what sceptical about this at first...how could the magnificent tv series with all the amazing photography be translated into an audio recording. David Attenborough's beguiling voice in the sample convinced me to try it and I am so glad that I did. I cannot recommend this highly enough. 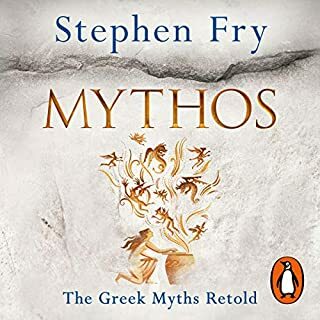 I know I shall play it over again and again as it makes such wonderful listening, and the word pictures he creates more than compensate for the lack of photographic imagery. In a way the time sequences of the millions of years make more sense. This is my first book on this app and I love it. It is a great book and I can not fault it. All standard superlatives to describe pretty much anything David Attenborough touches. If any of his work appeals to you, it’s impossible that you’d be anything but captivated by this. The story is already know by most of us. As usual when David Attenborough is involved it's told in a engaging and captivating style, with the best voice a narrator could have and with so much liveliness that one at times see pictures instead of just hearing words. Truly recommend. This is in my opinion one of the most important books of our time. 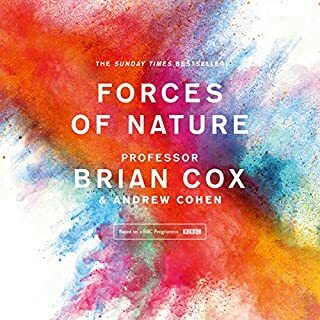 This audiobook is eloquently and masterfully narrated by David Attenbotough, the world authority on Natural History. 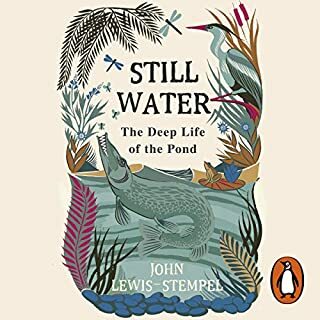 Its message is profound - every lungful of air, every mouthful we eat, every drop of fluid we drink is totally dependent on our relationship with the natural world. If we don't live in peace and harmony, our very future and that of our planet is in peril. 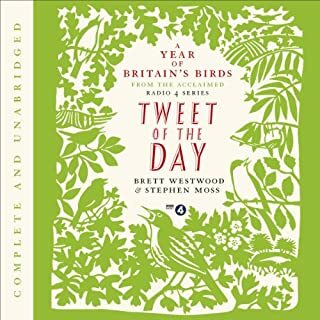 I highly recommend purchasing the accompanying Kindle book as it contains fantastic photographs of creatures described. Do you still feel hungry like a pike? And as for plants...do they repay? Of course they do so sow they may. I enjoy a good, long Attenborogh read. Sedatingly relaxing, and yet, stimulating. The subtle, witty humor is priceless. Sadly, intelligent, entertaining, and informative intellectuals such as Attenborogh, Sagan, Chrichton, and C. Clark are almost exctinct. 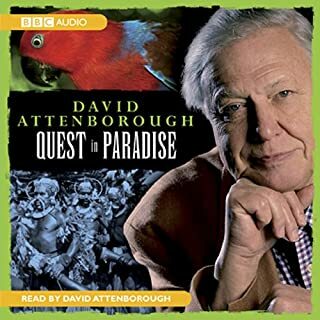 I play your Audiobooks to my daughter, Mr. Attenborough, so she may gain the wonderful gift of incite into the natural world you gave to me. as only he can. Treasure. Worth listening to all the way through even if you're familiar with the BBC series. 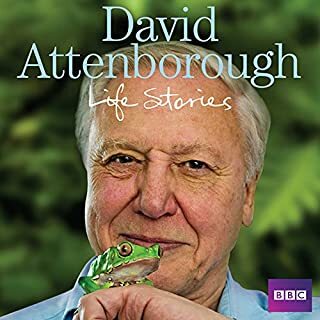 This is a very well written book from David Attenborough, detailing the history of life on Earth, from the very beginning. 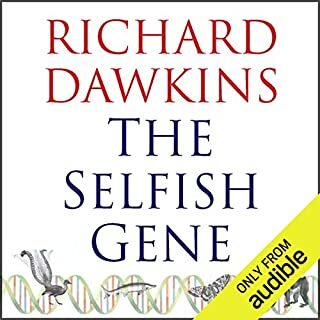 He takes us through all of the developments of life, like adapting to living on land, in an easy to understand manner, always giving evolutionary explanations as to why things happened the way they did. His performance is perfect as usual, he speaks clearly, understandably. Five star book, recommended to everyone. I had no idea when I downloaded this easy to miss book that it would bring as much pleasure and knowledge into my life. It is a book that tells what is arguable the most important story on the planet earth: how does life happen. Or perhaps more egocentrically: How did humans happen. I'm not sure if Attenborough set out to tell the story of how humans happen but he starts with the primordial soup on earth 4 billion years ago and moves through invertebrates, vertebrates, reptiles, birds, mammals, and then starts zeroing in on primates and ends with us. 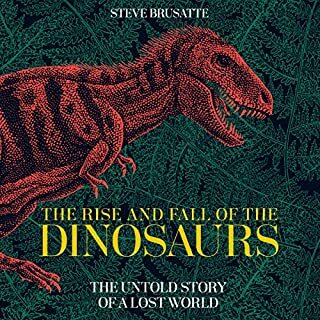 It's a lovely story and one that we think we know but there is plenty in this book that will remind you of things you thought you once knew and plenty that you've never heard before. Example: there is this frog that gets eggs implanted in scratches under the skin of its back where the eggs mature and then burst forth when they are ready. Forgive my imprecision -- I'm often listening late at night -- and it's soothing -- I listen to it over and over. Attenborough's voice is mesmerizing and the story he tells is of immense importance -- we are the only species on this planet that has altered the planet to the degree that we have. He stop short of writing a global warming polemic -- but I hope we will one day. I'll listen to that too! well written, well read. always a pleasure to experience the writing of Sir David Attenborough. Excellent book! There were a lot of interesting nuggets of information. I highly recommend this book. David's storytelling ability is nearly exceeded by the gravity of the information he conveys in this epic tale.